The Chatham Rotary Club was recently awarded the “Pacesetter Award” from Rotary International. 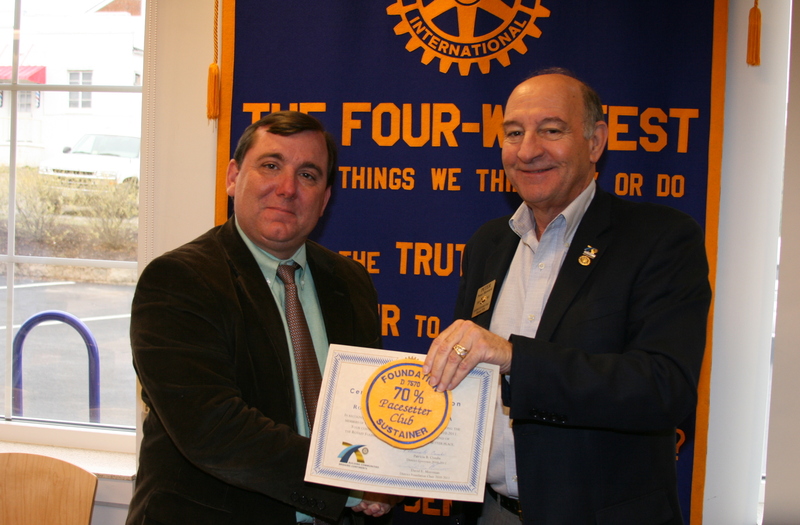 Peter K. Howard, Assistant District Governor, attended the Club’s weekly meeting and made the award presentation to Brian Turpin, the Club’s Chairman for the Rotary International Foundation. Chatham Rotary attained the award from 70% of its membership giving above and beyond the normal membership dues to sustain Rotary International and Rotary District Humanitarian Projects.